Abolitionist journalist and orator Frederick Douglass spoke those profound words as part of his iconic “West India Emancipation” speech in 1857. Douglass devoted his life to fighting slavery and racism through his speeches and antislavery newspaper, The North Star. 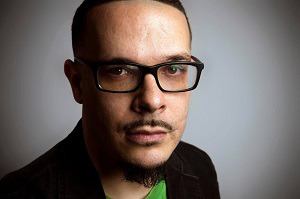 Beginning next month, an updated North Star, founded by activist journalist Shaun King and edited by noted scholar Dr. Keisha Blain, will emerge online with content created by progressives seeking to agitate for justice in the spirit of Douglass and the movement he inspired. The content will “function as an important tool for activists,” Blain told Diverse in a recent interview after King announced her appointment as editor. Douglass’ paper was named to reflect the guidance of the celestial North Star in leading enslaved Black people out of the South to freedom. King views Blain, a nationally known scholar and historian, as the ideal person to take the helm as editor. 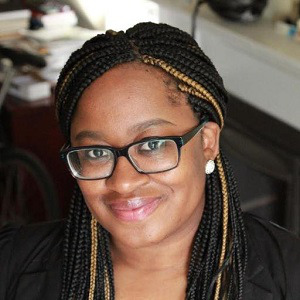 An assistant professor of history at the University of Pittsburgh, she specializes in African-American history, the modern African diaspora and women’s and gender studies. Her research has included Black internationalism and global feminism. Her latest book, Set the World on Fire: Black Nationalist Women and the Global Struggle for Freedom has received notable praise. Blain envisions The North Star as “being able to fill an important void,” covering a wide range of social justice issues from civil rights, police brutality and mass incarceration, to international development. Although she uses the term “newspaper,” she is quick to point out, “This particular initiative is really a media company that will have not only written content but podcasts and videos.” A mobile app is also being developed. She also said it will be advocacy-based. As an example, she explained that the journalists won’t be interviewing racists and neo-Nazis about events such as Charlottesville to get their side of the story. He said the crowdfunding revenue picked up in recent weeks, particularly following an interview on NPR about the endeavor, allowing them to start hiring for about 12 staff positions.